As is usually the case with Meraki this is pretty simple to setup. 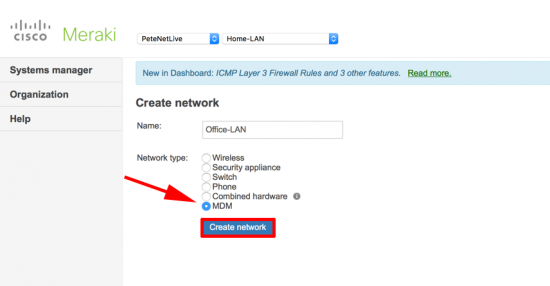 If you are familier with Meraki and have not deployed MDM before then stop a second. I mistakenly setup a dashboard for a client recently, (like I usually do with Meraki deployments). Then could not work out how to add the MDM component without an order number! Meraki MDM is free (up to 100 devices) which is great, but BE WARNED, register 101 devices, and you get a bill for 101 devices not 1 device! 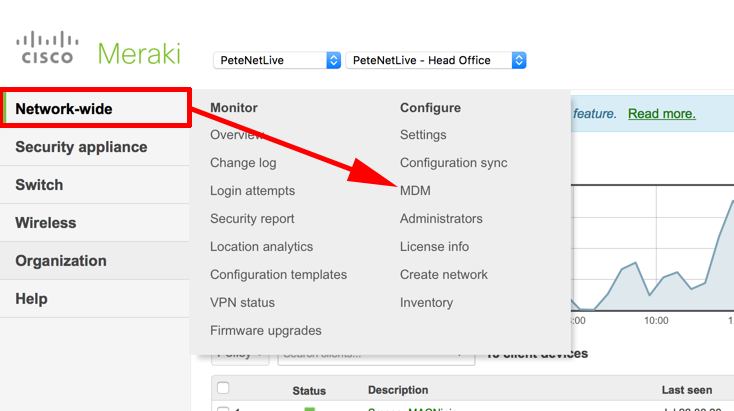 If you already have a Meraki dashboard you will find MDM under Network-wide > MDM. 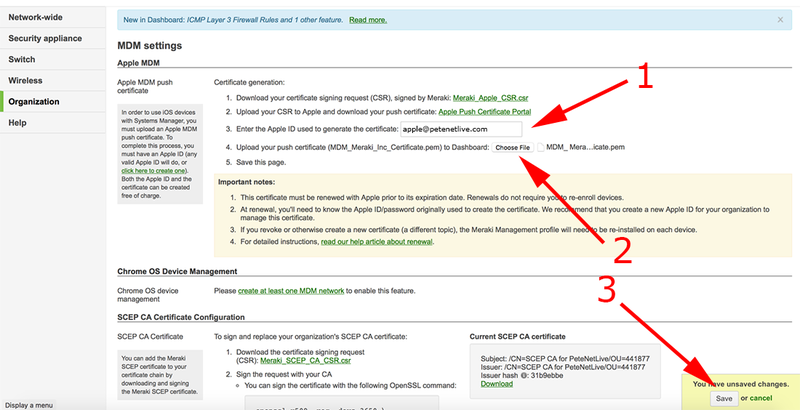 If you want to manage Apple devices, then you need to download a certificate from Apple, (this requires you to have an Apple ID, if you don’t have one go and set one up). 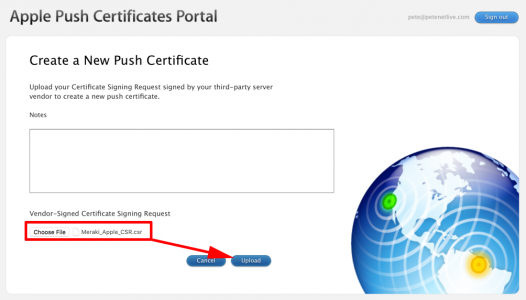 Download the CSR (Certificate Signing Request), and then USE THE HYPERLINK to go to Apple’s website. Back in the MDM dashboard, enter your Apple ID >Browse to your new push certificate, and select ‘Save’. 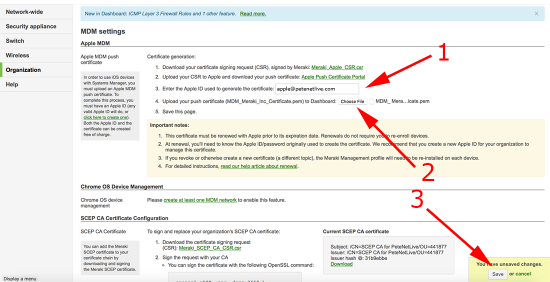 Note: If you registered though meraki then you will already have a network defined, (skip the next two steps). If you have an existing dashboard, you may need to create a network. You can now add devices to the MDM network.